TL;DR HippieTechs in Boise will be closed to drop-offs and pick-ups temporarily while I am out of town. You can still utilize my service via a mail-in option. The project I am working on in Southern California has grown to an even larger, more time intensive project than I expected. I will not be able to have regular office hours or provide onsite service for a few months in the Boise area. What I can do is offer my Mac repair and Data Recovery services via a mail-in service. If you would like me to repair your Mac or recover your data, start by filling out the mail-in form. Once I receive the mail-in form I will send you a shipping box with a prepaid Fedex ground shipping label to get your device to me in CA. I will start with a free diagnosis and let you know the cost for the needed service. If you decide to not go through with the service, the charge for the shipping is $15. If you decide to go with the service, there will be no extra charge for shipping. The best way to contact me while I am away is via text or email. If you call and leave a voicemail I will do my best to get back to you as soon as possible, but I can respond faster via email or text than I can via phone. I am sorry for the inconvenience this will cause. I hope to still be able to help you with your Mac repair or Data Recovery project! Hard drives can fail in many different ways and with many different symptoms. In this case, the hard drive seems to work, the computer boots fully, but then freezes and won’t respond for a few minutes. When it does finally respond, anything you try to click on results in a few more minutes of waiting for the click to be recognized. This sort of symptom is usually caused by the data on the drive not being read properly by the computer. While a failing hard drive is one very plausible cause, this type of behavior can be caused by a bad hard drive cable, bad logic board connector, even bad RAM or OS issue. It is important to start with a thorough diagnosis. The computer in question here is a 2008 MacBook. 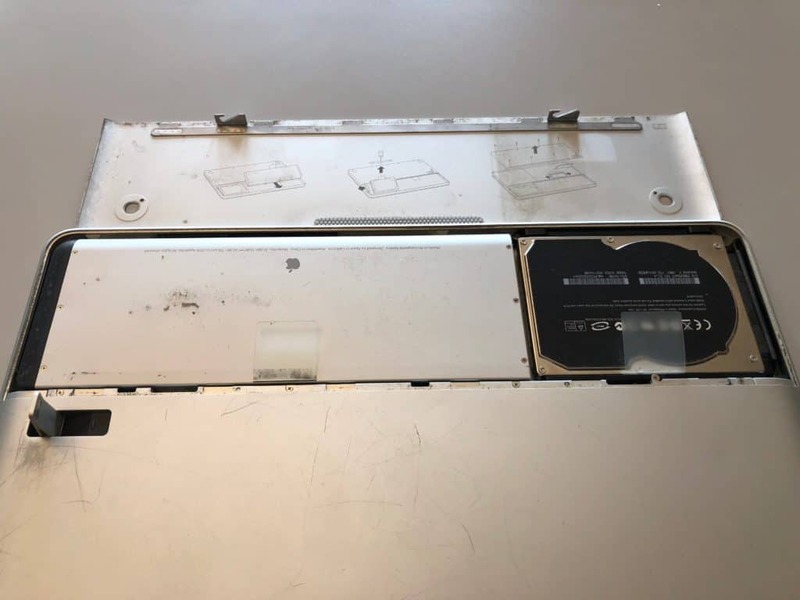 This model has very few issues with the hard drive cable (the same can not be said for the 13″ MacBook Pro replacement models), and the logic board connector almost never is the issue. While just by seeing the model of the computer I am almost sure the hard drive is at fault, it is still important to verify the issue and run a full set of tests on the computer. The best way to start diagnosing a possible hard drive issue is to remove the drive from the computer for testing outside the unit. This way if the hard drive fails testing, you know it isn’t because of a bad cable or connector inside the computer. While the hard drive is completing a surface scan, I like to run standard diagnostics on the computer using a known good hard drive. In this case the hard drive failed the surface scan almost immediately pointing to bad sectors on the drive at least. When a hard drive reports a bad sector, it could be that the sector is bad, but it could also be caused by a scratch, or a week or broken read/write head. In this case the heads pass a quick test using a data recovery rig, so the data should be retrievable from he drive using standard imaging procedures. Having a backup is extremely important. If you have a current backup of your hard drive, if it fails you have almost nothing to worry about! If you don’t have a backup, then you have to worry about getting the data off the failing drive which is not a guaranteed process. Sometimes drives can fail so catastrophically that the data is not recoverable by anyone. In this case as mentioned before, the heads inside the drive are testing good, so it is likely that there is a small amount of media damage or some bad sectors at the start of the drive causing the issues. I am extremely confident that the data will be fully recoverable if it ends up being needed. HippieTechs offers data recovery services in the Boise ID area. We are located in Downtown Boise right next door to the Flying M coffee shop. We always start with our free diagnosis on all data recoveries (and Mac Repairs). Once we get a sense for what is needed to successfully recover your data we will provide you with a quote. We generally have 2 data recovery tiers. Need your own drive recovered? MacBook Airs have one of the more fragile displays that Apple has designed. The thin LCD panel coupled with the thin display housing makes bending more possible which in turn can crack the display. This MacBook Air was not bent as it obviously has impact points on the display from a hit, but in general the MacBook Air does have a more fragile display than other Apple portable notebooks. Apple designed the MacBook Air display assembly to be replaced as a single part. Most repair shops will replace the display assembly rather than taking it apart and replacing just the broken component. HippieTechs is one of the few shops nationwide that offers LCD only replacement. In order to replace just the LCD panel, the metal bezel that surrounds the screen and helps hold the components into the assembly must be removed. The bezel is the piece that says “MacBook Air” along the bottom. Once the bezel is removed, the LCD panel has to be removed next. The LCD panel is attached with double sided tape that is very strong. Under the LCD is a series of diffuser sheets that are very easy to scratch so extreme care is necessary to remove the LCD panel without damaging those sheets. Once the LCD has been removed, new adhesive is applied and the new LCD is installed. The bezel is re-attached and you have a fully working display again for a fraction of the cost of replacing the entire display assembly. While the LCD only replacement on MacBook Airs is a time intensive process, we are able to complete it within 24 hours of receiving your computer. This allows you to get your computer back as quickly as possible. What if you are outside of Boise? While we are located in Downtown Boise, we do offer the repair nationwide through our mail-in repair service. We can also recommend another shop in Los Angeles called “MacScreenRepair”. They offer screen repair services for the entire Mac line and do great work. 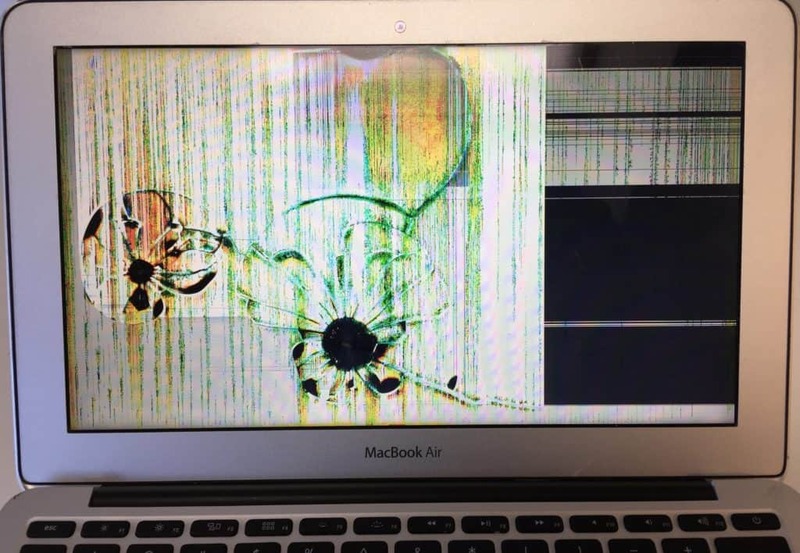 Learn more about their Mac screen repair services. Need your own MacBook Air screen repaired? This iMac was brought in with the description of the display not coming on when turned on + no chime. After testing we found that the computer would receive power, but never past POST or get to the point where it would chime. Furthermore, after about a minute of being on, the fans would spin up to full power. After completing the standard diagnostic step of resetting the SMC, we continued with removing the display to check the LED lights on the logic board. We wanted to double check our hunch that the computer was not booting due to a faulty GPU (graphics chip). I have seen a couple cases where people who normally work on PC’s or older Macs don’t understand that the display on this model is not removed by pulling it off with sunction cups. Rather, a special tool (available at fixit) is used to very carefully cut through the double sided tape that is holding the display on. Once that tape has been cut, the display will pull away from the computer easily. Don’t try to use a suction method on the newer thin iMacs as it will almost always result in a cracked display. On this model iMac there are four LED lights that are visible after removing the display assembly. The first LED light shows that the computer is receiving a trickle of power from the power supply as it should when plugged in. After pressing the power button, the second light should illuminate showing that the computer is receiving full power. After a few seconds of receiving full power, the third LED will illuminate confirming that the logic board is able to talk to the GPU. Once that light is lit, very shortly after that the fourth light will light up showing that the GPU is able to send information to the display. This particular computer had the first 2 LEDs light properly. Number 3 and 4 never lit during testing. As a precaution we tested the Logic board battery and replaced the RAM with known good RAM just to be 100% certain that the GPU was the issue. There are a couple different models of iMacs. In this particular model, there is no separate gracphics card that can be replaced. 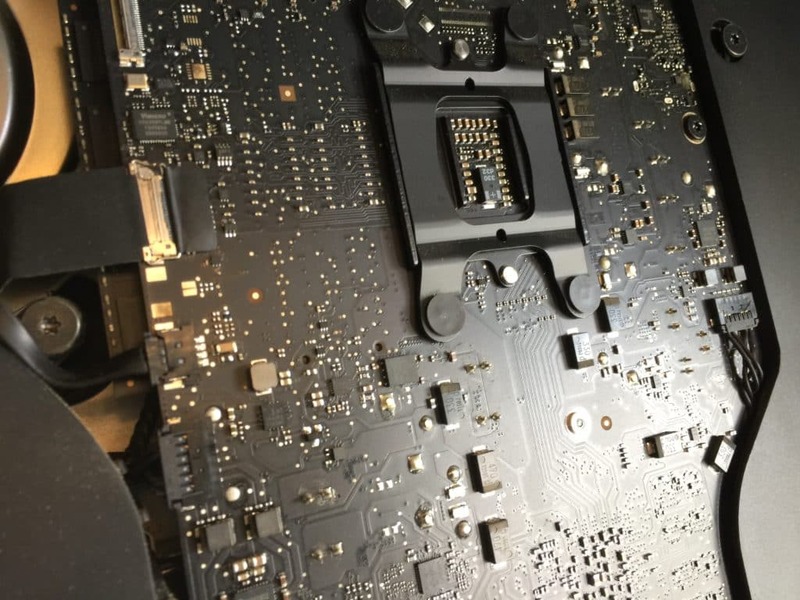 The GPU is soldered onto the logic board, so in order to replace the graphics chip, you either have to send the board out to somebody who is very skilled in replacing GPU chips, or replace the entire board. For this model, the cost of the board was the same as the cost for repair, so a new board it is! Need your own iMac repaired? For anybody that woke up late today, you won’t believe what you missed! Snow, and a successful iPhone data recovery! It seems like everywhere you look nowadays there is a cell phone repair shop where you can get a replacement screen installed, charger port fixed, and other cell phone repair service. While we do not offer cell phone repair, we do offer iPhone data recovery. Our iPhone data recovery service is available locally at our Downtown Boise location as well as Nationwide through our mail-in recovery service. We only charge if the iPhone recovery is successful. If the recovery is not successful, there is no charge for the attempt! The charge for a successful recovery is $379. Turnaround time can vary quite a bit on iPhone repairs. We complete most repairs in house in the 1-2 week timeframe. 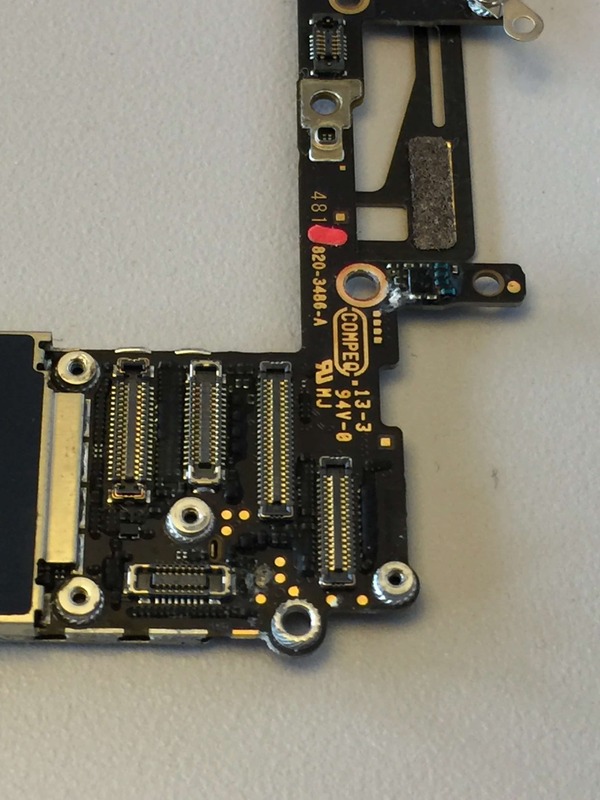 However, sometimes certain chips on the iPhone logic board need to be replaced that we do not replace in house. In these cases we mail-out the logic board for the chips to replaced and the recovery can take 2-4 weeks to complete. 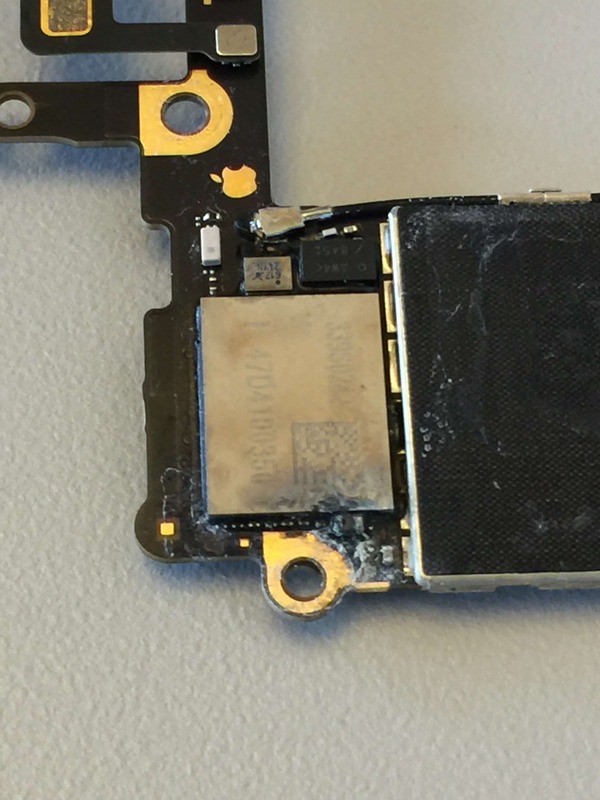 Keep in mind that most of the time recovery requires us to do logic board level repair on your iPhone. This kind of repair will very likely void Apple’s warranty on the device, and will also likely cause Apple to not offer any further repairs or exchanges on the device. We are not able to attempt recovery on all kinds of issues with iPhones. One of the most requested services that we do NOT offer is Deleted iPhone Data Recovery. We can attempt recovery on an iPhone with liquid damage! This is our #1 requested service. When your iPhone is liquid damaged and you need the data off of it, we can attempt a recovery! Sometimes after a drop the iPhone needs more help than just a screen replacement. If your iPhone has been dropped and you need your data back, we can attempt to retrieve the data. We are NOT able to attempt to recover deleted data from iPhones. If you have a 4S or newer iPhone, it is very likely that no-one can retrieve the deleted data. This particular phone only had a few small spots of corrosion from liquid damage. We were able to repair the board enough to get the data off of it! Need your own iPhone recovered?